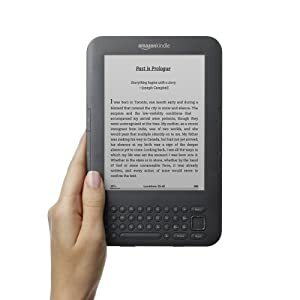 There’s currently a press frenzy about the death of the printed book, driven by the rise of the tablet/iPad and Amazon’s recent announcement that it is selling more e-books than paperbacks. Commentators are beginning to prophesise rampant e-book piracy and publishers going the way of the record industry in the brave new digital world. But if you take a closer look you’ll see we’re nowhere near a digital tipping point, particularly in the UK. While Amazon is selling more e-books on the Kindle in the US than paperbacks, the margin is not that great (105 e-books vs 100 print books). However as pointed out in PaidContent, in the UK we’re nowhere near that yet. Amazon is selling more e-books than hardbacks (by a factor of 2 to 1), but not paperbacks. Add in that the revenue for each e-book is much lower, and you’ll see that while e-books are having an impact, digital isn’t yet reaching market dominance. The PR behind this reminds me of Amazon’s claim that more people bought e-books last Christmas Day than hard copy books – eye catching as a headline, but hardly surprising as new Kindle owners added content to their toys. How many book lovers spend Christmas buying physical items that won’t be delivered for a week at least? I’ll admit I’m biased but I think there’s a way to go before e-books take over. Screen technology needs to improve further and usability has to take into account the mass market, rather than early adopters that are happy to fiddle with technology. So don’t believe the hype – the physical book will be alive and well for years to come.